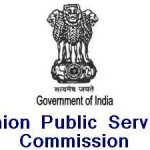 Union Public Service Commission (UPSC) to conduct Combined Defence Service (CDS) Examination (II), 2016 (Including SSC Women (Non Technical) Course) under Indian Military Academy, Indian Naval Academy, Air Force Academy and Officers Training Academy. The last date of application submission is 12th August 2016 by 11:59 PM. CDS Exam or Combined Defence Service Examination is an exam conducted twice every year by Union Public Service Commission (UPSC). It is an exam to induct officers into the Indian Defence Forces i.e. the Army and the Air Force. A Combined Defence Services Examination will be conducted by the Union Public Service Commission on 23rd October 2016 for admission of 413 posts. The exam centres for UPSC CDS II 2016 is all across India. Last Date for Submission of Applications is 12th August 2016 (by 11.59 PM) while last Date for Payment of Fee through Offline: 11th August 2016 (by 23.59 hrs). Last Date for Payment of Fee through Online: 12th August 2016 by 23:59 hrs. Availability of e-Admit Cards should be 3 weeks before the Commencement of the Exam while date of Written Examination is scheduled on 23rd October 2016. The results will be declared on December 2016 and date of SSB Interview is 4th week of February 2017 and 4th week of May 2017.